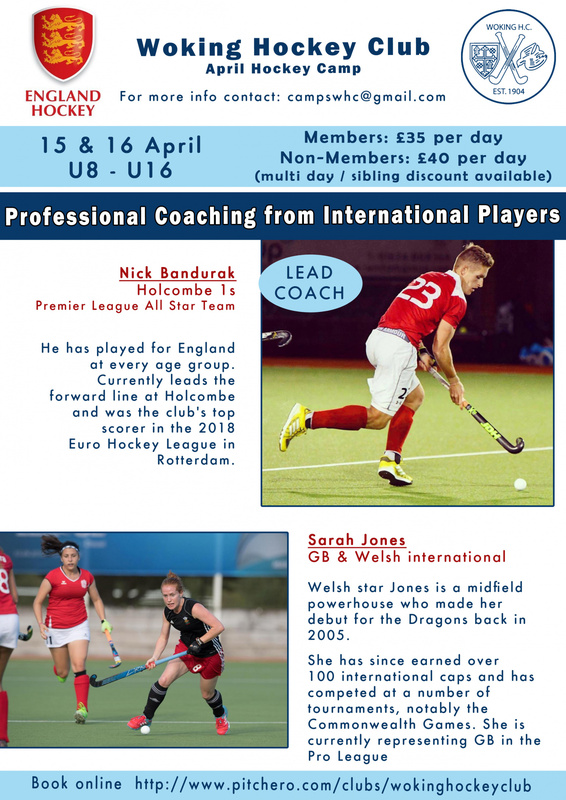 These hockey camps are open to both club members and non members and are a great opportunity to practice your existing skills and learn new skills this time our guest coaches are Nick Bandurak (Holcombe 1s) and Sarah Jones (GB and Wales). Registration each day is at 9:30am and coaching runs from 10am to 3pm with a 1 hour lunch break. Members: £35 for 1 day, £60 for both days. Non-Members: £40 for 1 day, £70 for both days. Non Club members are also welcome and can book here.